Blogspot blogs redirecting by IP is something that’s happening since months, but since I haven’t seen many discussions about it, I think a little analysis of Blogspot duplication issues could be useful. 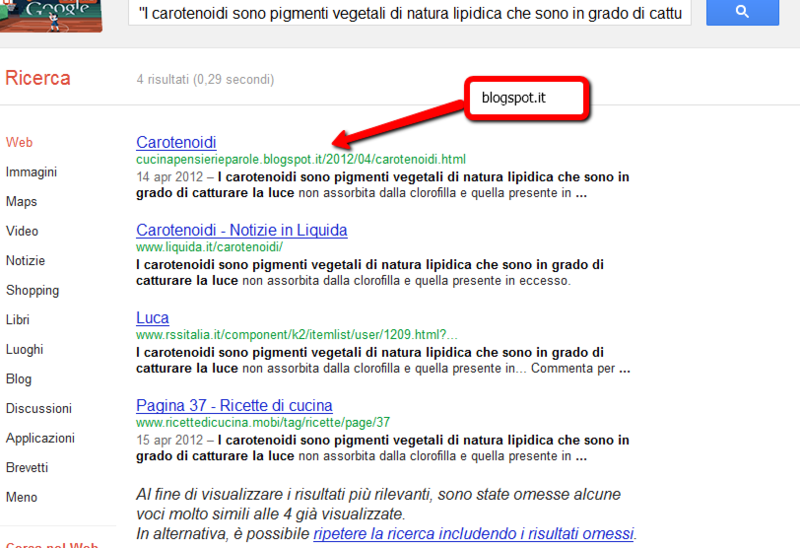 To those who didn’t notice it, if you visit a blogspot.com blog, you are redirected by IP: this mean that instead of insidesearch.blogspot.com I get insidesearch.blogspot.it, being in Italy, English visitors land on .co.uk, and so on, whilst American visitors remain on the .com (maybe this why this behaviour hasn’t been discussed in American blogs). The first time it occurred to me to be redirected, I asked myself why Google had started to do that: a reason could be they wanted to publish translated content for each country, on their official blogs, but that wasn’t the case. Now I still haven’t a good answer for this, but to be honest I don’t care so much; if you’ve read my post about Twitter duplications problems on SEOmoz, you could guess that I’m more interested on how they’re redirecting than on why, and in fact the most important question to me is: are they duplicating those pages? It’s not so difficult to check it. 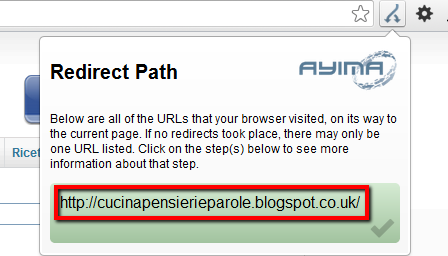 Using this tool by Ayima on a random blogspot blog, we can easily notice that I’ve been redirected with an HTTP status code 302 Temporary Redirect. This is correct: most important bots, including Googlebot, surf the web with an American IP so they get never redirected and always receive a 200 OK status code, but Yandex or Baidu spiders have a foreign IP so it’s correct to give them a 302 status code and maintain the .com URLs in the SERPs of those searche engines. When I’ve tried to visit the .co.uk version of the blog I’ve chosen for my analysis, the HTTP status code I’ve received has been 200 OK. This means that, if this URL is linked somewhere bots can find it and index it. The obvious question now is how Google is handling possible duplications, and we can see from the HTML code they’re using a canonical tag. Canonicalization is something that not always works well and in fact the .it version of the blog can be found with a site: query. So I think it’s quite obvious that in the long run it might be a problem for this blog if each of its pages gets duplicated, and this issue could be bigger for blogs that are read in different countries and could be linked with different ccTLDs, depending on where the person that links lives. – each ccTLD: 301 redirect to .com, if the requesting IP isn’t from the same country of the ccTLD. This mean that when an American user (eg. 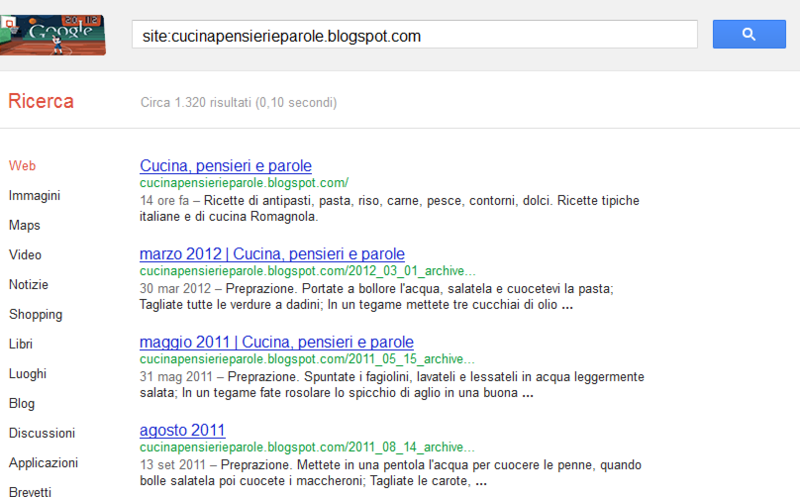 a bot) tries to visit a .it blogspot blog from Italy, I receive a 301 redirect to the .com version, so to consolidate URLs. A minor problem remains if a Russian IP (eg. Yandex) visits a .ru blogspot blog: in this case status code remains 200 OK and canonical tag have do the job. What to do if you’ve a blogspot blog? 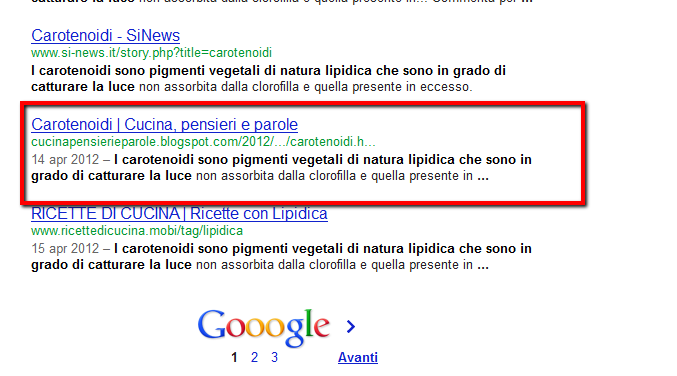 Being impossible that someone from Google reads my blog and tries to find a way to solve duplications, if you have a blogpost blog you have to coexist with this situation. In my opinion, although a ccTLD version of a blog can be indexed, it’s not probable that it can totally replace the .com one, so I suggest to link to the .com URLs and be sure to have them in any kind of embed codes you offer on your blog. 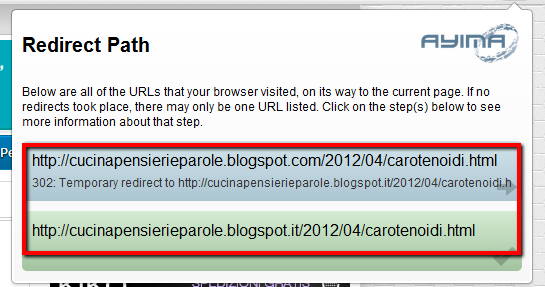 Blogspot blogs are duplicated, due to IP redirections. Continue to link to .com URLs. I wonder if this affects SEO. would having a lot of links from blogs registered in different countries will get you penalized or not. there is a debate about the benefit of a unique IP address.